Application – To create or associate the Script, Trigger and CCG. 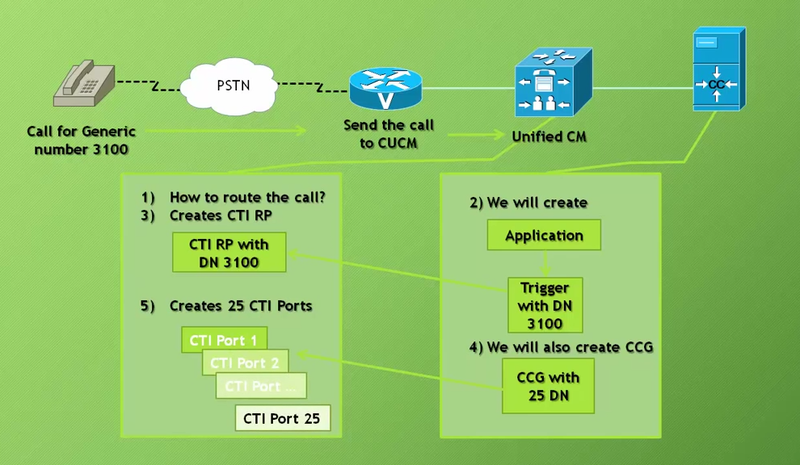 When you click Add, you will use the CTI Ports being created, check this in CUCM. Create the Trigger, however we will need an Application available first. Create the Application, set max number of sessions/calls. Reference the CSQ name here. **Scripting has not yes been discussed** ICD.aef is the default and is used in the demonstration. 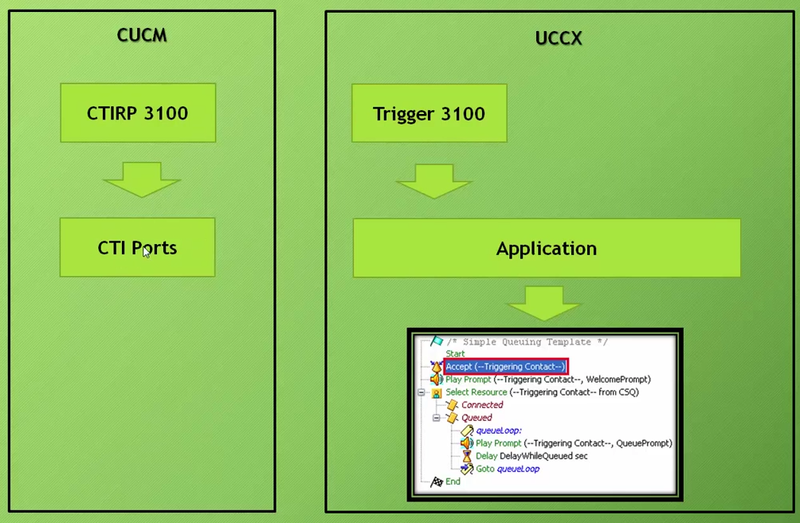 Now add the Trigger through the Application, or via the RmCm menu.